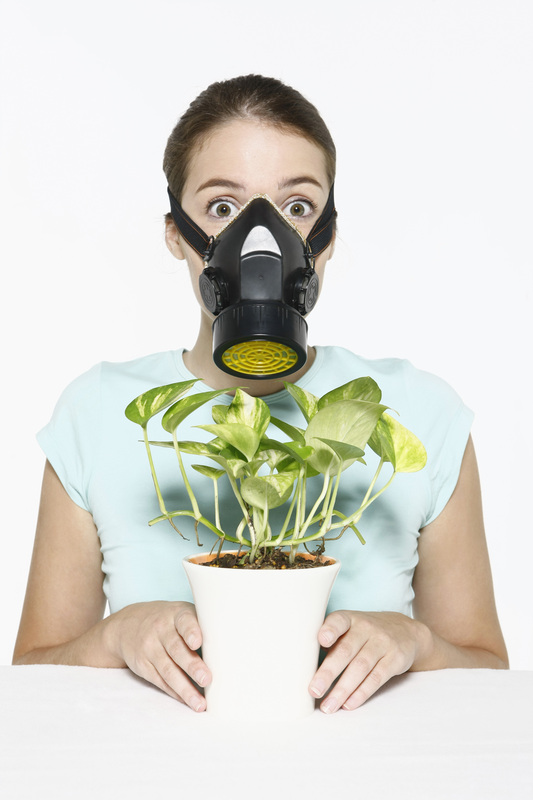 Unfortunately there is no cost effective way to avoid air pollution with regards to real estate. Humans could attempt to seal up their home air tight and install air filtration systems so that outdoor air pollution effects are minimized but the expense to do so would be quite high. Additionally the residents would be forced to confine themselves indoors almost 24 hours a day in order to avoid air pollution effects. If the air pollution source is very close to the real estate the owners of real estate surrounding the source could ask their local governments to restrict the types of pollution being emitted or they can sue the polluter in hopes a court will compensate them for the air pollution which could encourage the polluter to try and control their pollution. Often times a court may not be as willing to fine or require a polluter to stop their activity if they were using the land first and the surrounding real estate owners came later unless of course the overall land use around the air pollution source has completely changed. Where there has been a complete change in the land use from say industrial to residential and one industrial source of pollution remains a court may require the polluter to better control their source of pollution and/or to compensate the other owners for the pollution. Where the source of the air pollution is not close to the land then the options for real estate owners becomes very limited into what they can do to control the pollution. Better options for air pollution control then lie with elected officials who could be persuaded to enact tougher laws on pollution that affects the region as a whole. If the state where air pollution is an issue relies heavily on the industries for jobs and other sources of income there will be less of a desire to force those industries to control their pollution especially when the costs would be seen as being very high. While not every piece of real estate will directly touch a surface facing body of water many areas have underground water that could be subject to pollution that then in turn can impact the land. Those pieces of land with direct frontage to water can experience the effects of water based pollution when the contaminated water comes into contact with the land. The soils and sands on the property absorb water and anything that is also disolved in the water. Eventually over time the toxicity from pollution can build up causing harm to residents who rely on the water for irrigation or for household use. Even air pollution can end up as water pollution when rains absorb pollutants from the air and bring it down to the ground. Sometimes called acid rain, this rain mixes with local bodies of water or directly affects the land it comes to final rest upon. In many places ground water flows beneath the soil and can take on a toxic nature when it comes into contact with pollution. Whether the pollution was from past industrial activities, illegal dumping, or landowners dumping harsh toxic chemicals in their backyard without consideration of the long term effect the ground water below the surface can quickly spread the pollution to other areas. Just as with air pollution water based pollution can affect all living things connected to the land. Humans, crops, pets, farm animals and more can be exposed to harmful pollutants anytime they have contact with polluted water. Methods of preventing harm from polluted water include using water from only trusted sources or filtering water at the point of use. Depending on the amount of water used the cost for getting clean water can be very high. If land owners know of illegal disposal of chemicals in waterways then that illegal acts should be reported to the proper authorities. When one thinks of radioactivity they often think of dangerous levels of radioactive materials that even with a few seconds of exposure can lead to death or permanent injury. 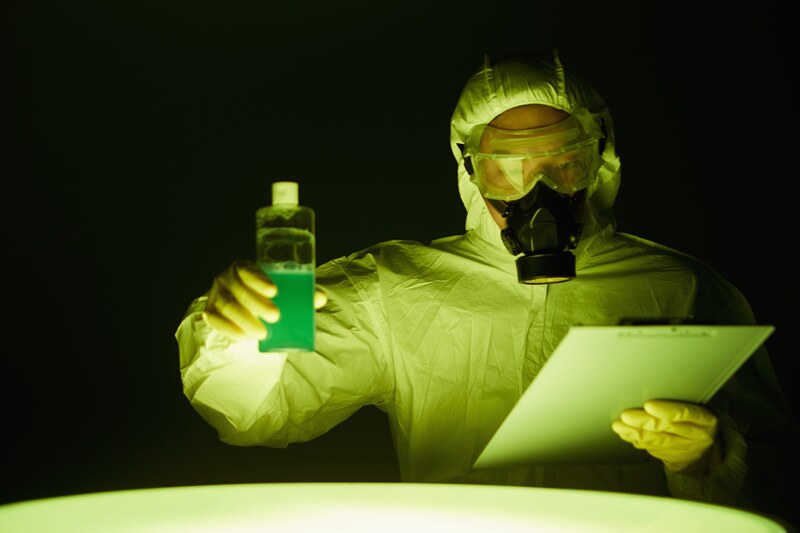 Much of the dangerous radioactive substances are not found in nature and often times needs industrial processing in order to get it to very powerful levels. Radon gas on the other hand can be common in many parts of the world and does accumulate in enclosed spaces like a home. Radon is a naturally occurring radioactive gas that has been shown to cause lung cancer in humans after prolonged exposure. On the positive side radon is easily detectible and easily remedied with radon mitigation systems which involve pumping air out of the basement or crawl spaces. Mold is a natural fungus that feeds off of any organic matter. Mold is everywhere in small quantities. When given the ideal environment mold can quickly take hold and begin to consume the organic matter it is living on. Mold will feed on food, wood, drywall and more with the right conditions. Conditions for proper mold growth include water and/or high humidity. Excessive amounts of mold can cause severe allergic reactions in humans and animals as well as can be lethal. Mold can be avoided by making sure you have a properly ventilated home (run the AC in the warm humid months or make sure there is sufficient airflow) and that all water leaks in the home are adequately dealt with. Real estate while valuable can quickly lose value when exposed to certain environmental issues. 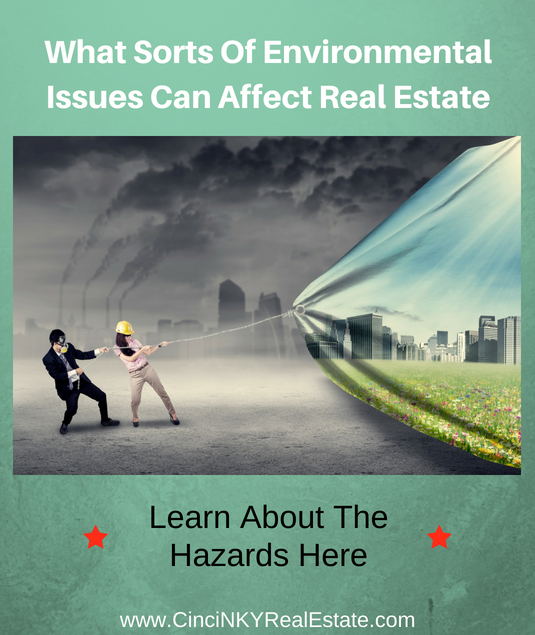 Many of the environmental issues are hard to prevent but those seeking to buy real estate can attempt to avoid locations that may suffer from those issues. Some environmental impacts can have a great effect on the real estate depending on its intended use. About the author: The above article “What Sorts Of Environmental Issues Can Affect Real Estate” was provided by Luxury Real Estate Specialist Paul Sian. Paul can be reached at paul@CinciNKYRealEstate.com or by phone at 513-560-8002. If you’re thinking of selling or buying your investment or commercial business property I would love to share my marketing knowledge and expertise to help you. Contact me today!